Thank you, this has SOLD! 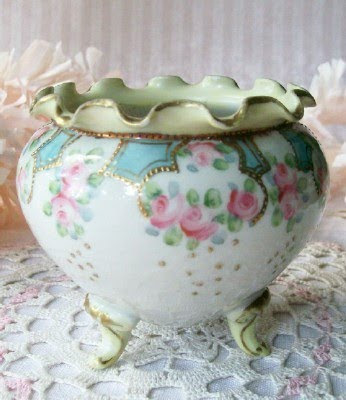 This three legged rose bowl is so dainty yet stunning. It has all the earmarks of Nippon, yet it is not marked. I was so attracted to the pink roses. Can you believe it? Not me. Great vintage postcards...dating from 1910 and earlier. Sweet pink rose and I love the stripes, of course. And here is what I was excited about... the ultimate pink lady! I can just see her in a little Parisian shop in the front window with her little French poodles. The parasol is lace and still intact. Amazing! And these little French pooches didn't want to let a Pink Saturday go by without their picture shown as well! Note the pink paws and the pink rose on each! Stop by and visit Beverly as she hosts Pink Saturday each week. See all the other bloggers who LOVE to share their favorite color! Beverly's blog is called How Sweet the Sound. Oh, I could sit down and talk to you a week about antiques. I love so many of your things. I have always wanted to open an antique shop-maybe in my next life! Stop by Applejack Lane and see some of my collections. How totally lovely! Thanks so much for sharing this week. Raining here...again...so I needed a little bit of cheer! Pink Saturday always makes me smile, even if the sky is gray. Have a wonderful weekend with those you l♥ve. I love the pinks you assembled to share with us today. I hope you have a wonderful day. You put together a really nice Pink Saturday post. I just love all of those items. Great job. The bowl is simply stunning, Jillian! Happy Pink Saturday! I got so excited when I saw that bowl I had to have it and I forgot to post Happy Pink Saturday. Ohhhhh I can't wait to receive it. Happy PS, Jillian! Love your pretty pinks! 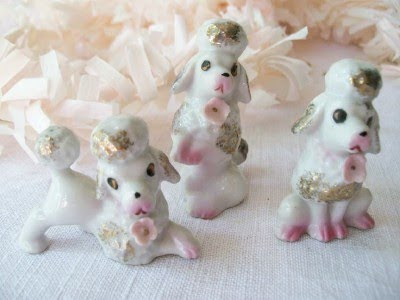 The poodles are too adorable! These are very pretty pink. Love your pink*! Hope you are having a lovely Sunday afternoon*! HI! Cute pinkness you have! 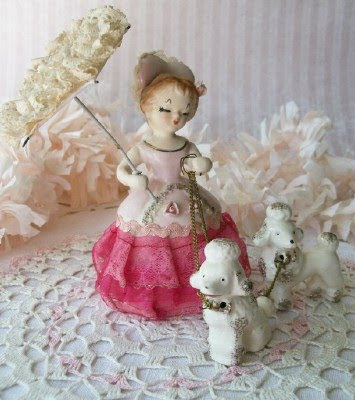 what beautiful pinks Jillian, the three legged bowl is a stunner...and i love the sweet little girl with her poodles!!! I love all of your pink pretties! They would fit right in with my decor. I especially love the colors and sweet roses in the first picture. I agree it does look like Nippon. Have a wonderful week. Vicki p.s. Sorry for getting around so late to commenting for Pink Saturday. Jillian, I love every single thing you shared today. I must admit that I am in love with that Nippon bowl. I can see why you are so attracted. 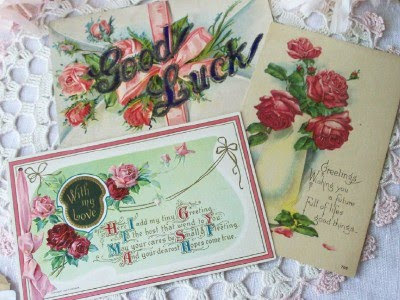 Pretty and fun pinks you have :-) I like looking at your vintage postcards and you're right, she is one Pink lady! :-) Too cute. 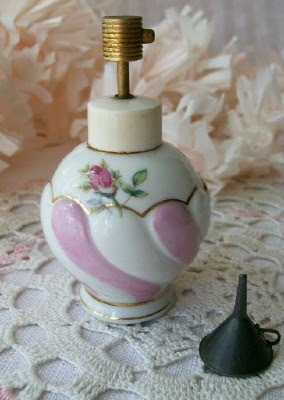 Latest Vintage Finds...On the Site Today! What is a PUTZ House? Pink Saturday ~ Pink Everywhere! This week's latest arrivals: COMING SOON! Pink Saturday ~ My Pink is GONE!